Would you like to watch the Wales rugby team train? 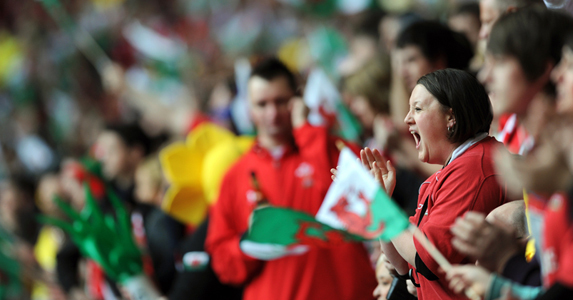 Over 5,000 Welsh fans are expected at the Millennium Stadium tomorrow (Monday, 21 February) when Wales throw open the doors to one of their key training sessions before travelling to Rome to take on Italy in the RBS 6 Nations. It is a rare chance to see the Wales team put through their paces as they aim to build on the 24-6 win over Scotland. Wales flanker Dan Lydiate is hoping to give the fans a special experience in return for the constant support they give the team. “The fans are awesome,” he said. “We have the best supporters in the world, they are like an extra man on the park whenever we take the field, even away from home like in Scotland last weekend. “The open training session will be a nice opportunity for the fans to see our preparations for our next game. “Playing rugby, we all grew up watching the game, all the players have been on the other side as fans so it’s great to actually be on the field training and playing for Wales. Gates open at 1.00pm tomorrow for a 2.00pm training session. The Millennium Stadium encourages anyone who would like to attend tomorrow’s session to register on www.wru.co.uk/watchwales4free but fans unable to do that can still turn up tomorrow and gain access to the training session free of charge.